New Jeep SUVs are an iconic American-made car that continue to spark new ideas about what it means to have a quality new SUV in Old Saybrook. From time-tested models like the Cherokee and Grand Cherokee SUVs available in Middletown, Jeep also offers models like the Jeep Compass and of course, the iconic Jeep Wrangler, which retains that classic Jeep look. 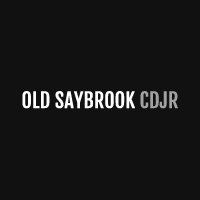 We have new and used Jeep SUVs for sale in Old Saybrook so if you know which classic Jeep model you have your eye on, please contact our Old Saybrook Jeep dealership today for help with car financing and to schedule a test drive on the New London roads today. No matter which Jeep SUV you decide on, you’ll be sure you’re getting the best of American engineering and American pride. With increased cargo space and interior features, these Jeep models aren’t all muscle, though their performance specs are consistently impressive to Madison drivers. Contact our Old Saybrook Jeep dealership today to find out more about each Jeep model and trim level.